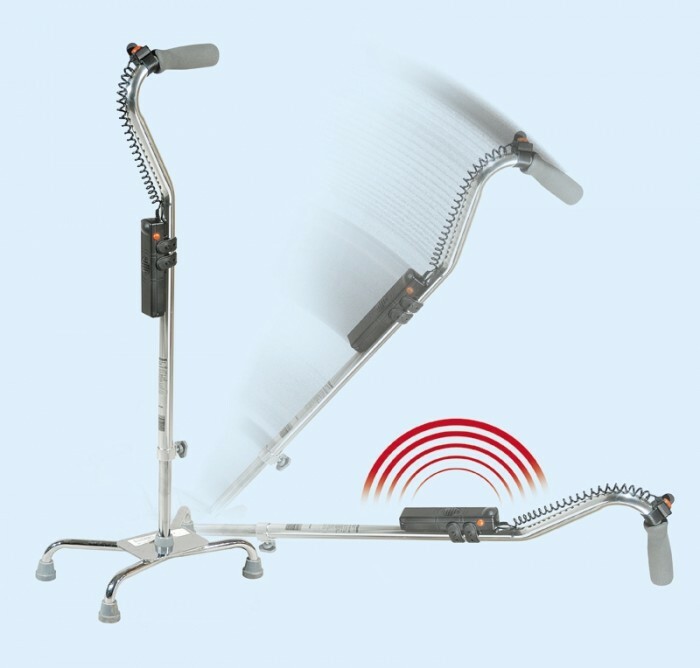 A device for assisting relocation of a handicapped individual, which device has a frame that is disposed between an individual and a surface underlying the individual to assist movement of the individual across the underlying surface. The frame has a first orientation in which the frame resides with the frame being used by the individual to engage the underlying surface and assist movement of the individual across the underlying surface. The device further includes an alarm system for causing a detectable signal to be produced as an incident of the frame being repositioned from the first orientation into a second orientation. The device is also patented in Canada #2,348,623 Molds have been made and 2000 units have been manufactured,packaged and ready for market. 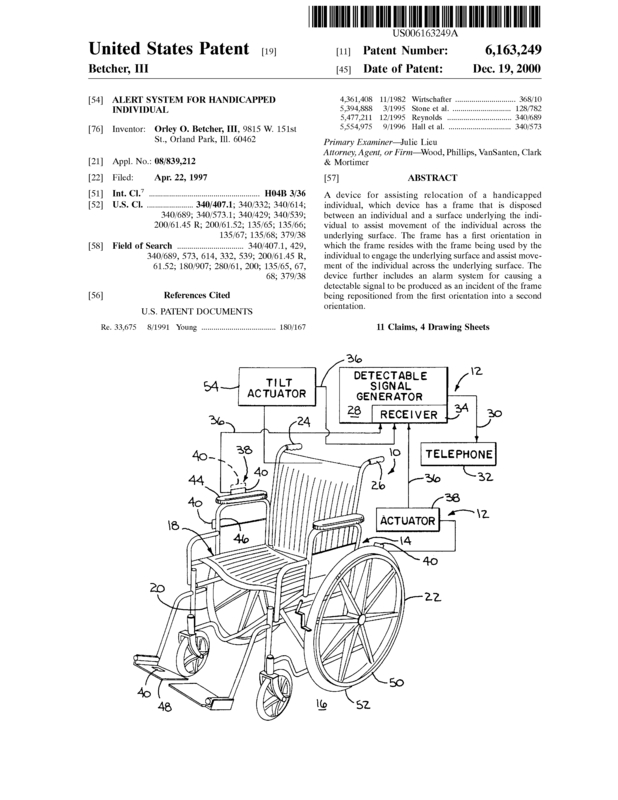 The Patent claims include Audible, Visual and RF signal generation. 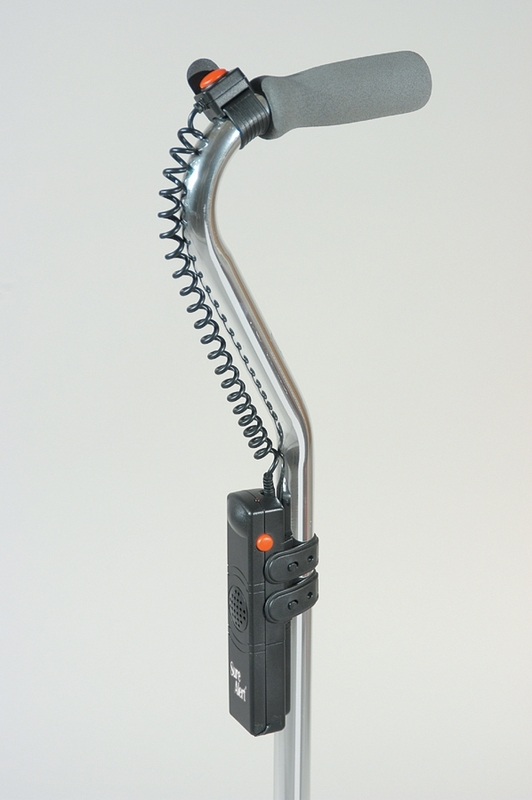 The market potential includes anyone with an ambulatory care device such as a cane,walker,wheel chair etc. Page created at 2019-04-25 0:01:24, Patent Auction Time.